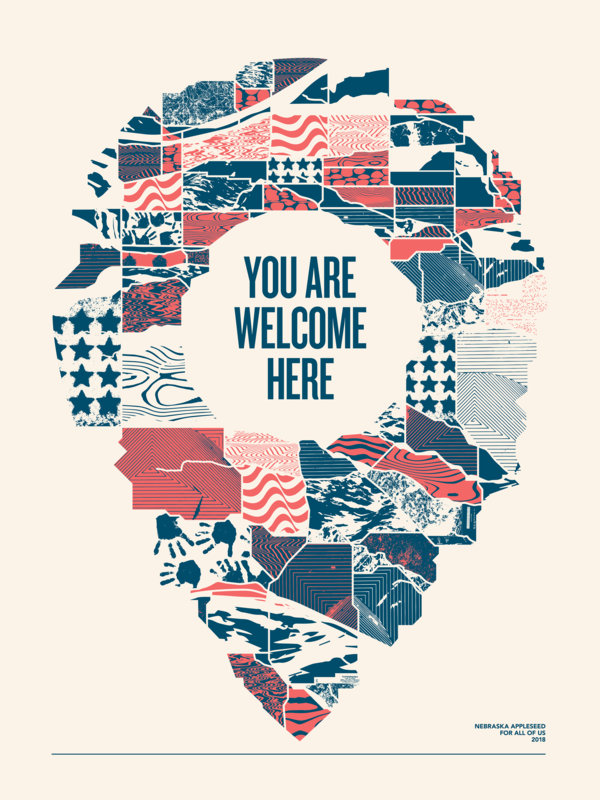 You Are Welcome Here | Cody Fenske Design Co. Although sometimes our politicians make us feel otherwise, America is the country where you are welcome. We make that known by the way we treat one another. Inclusive communities make for a stronger United States. Poster design for the 2018 Nebraska Appleseed Poster Series. 2 color, 18x24 screen-printed poster.